The Stone Lakes National Wildlife Refuge, located south of Sacramento, California, lies within the Sacramento-San Joaquin Delta, the destination of thousands of migrating waterfowl, shorebirds, and other water birds. Background: Historic Beach Lake once covered nearly 1,000 acres. North and South Stone Lakes were also extensive. Located in the heart of the refuge, they likely received their names in the mid 1800s from the former landowner, a Sacramento merchant named Rockwell Stone. The Stone family held about 1,000 acres until 1891. The Habitat: The diverse habitats of Stone Lakes National Wildlife Refuge are home to over 200 species of birds and numerous other fish and wildlife species. 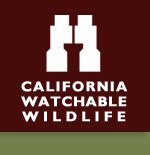 The refuge is located in the heart of California’s Central Valley along the Pacific Flyway. When combined with neighboring natural areas, it is part of a vast landscape corridor that serves as a sanctuary for many resident and migratory fish, wildlife, and plant species. Wildlife and Where to Find It: Throughout the fall to spring, learn about the refuge and take in the abundance of migratory birds wading in seasonal wetlands on a free docent guided walk in normally restricted areas. Be sure to bring your binoculars and camera, as you'll get a chance to see some refuge favorites such as Sandhill cranes, shorebirds, raptors, and many species of waterfowl up-close. Viewing Tips: Free of charge, seven days a week from sunrise to sunset, you can enjoy Blue Heron Trails any time of the year. This is where you can enjoy accessible wildlife-related activities, including wildlife observation, hiking, and photography. Site Notes: While best viewing is fall to spring, the Blue Heron Trail is open to the public year-round. How to Get There: The Refuge Headquarters and Blue Heron Trails is located south of Sacramento, just outside of Elk Grove. From Sacramento, travel south on Interstate 5 and take the Hood Franklin Road exit. At the stop sign, turn right, heading west for about one mile. The entrance sign and turn lane will be on your left. Please note, the entrance gate is timed to open and close automatically just after sunrise and just before sunset. Easement portions of the refuge are also visible along I-5 and Franklin Boulevard in Elk Grove.